Welcome to the Technical Assistance section of the VCU-ACE website! Through our cohort divisions we provide ongoing technical assistance. In addition, we provide Communities of Learning in Autism throughout the Commonwealth of Virginia. Use this part of our website to increase your understanding of these services. Nationally, the reported incidence of Autism Spectrum Disorder has risen dramatically in the last 20 years. Students with ASD frequently require a higher intensity of structure and carefully designed systematic instruction to acquire the academic and functional skills necessary to become independent and successful adults. Thus, as the numbers have increased, school divisions have experienced increasing pressure to meet the needs of this growing group of students and to maintain high standards in the provision of educational services across the entire division. It is in this context that VCU-ACE provides technical assistance to school divisions throughout the Commonwealth to improve programming for students with ASD. 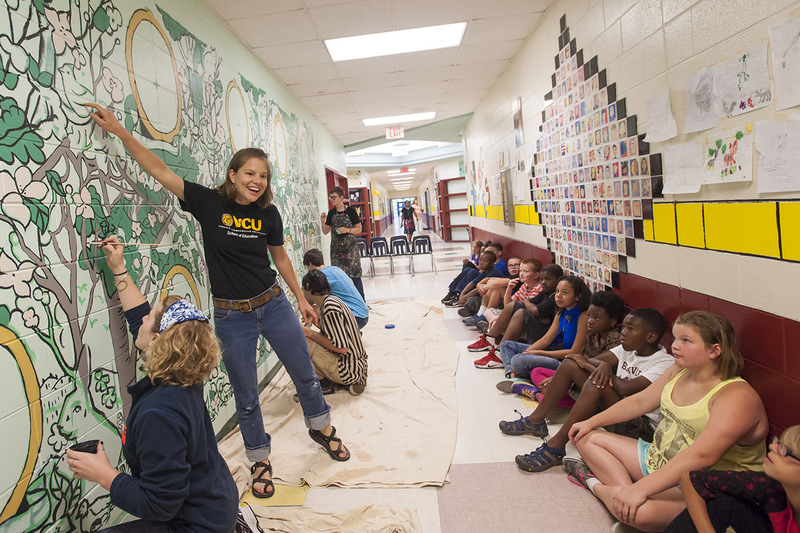 Through this activity, VCU-ACE focuses on long-term systems change that will result in service improvements of administrators and educators and ultimately improve outcomes of students with ASD. VCU-ACE provides technical assistance using a 'bottom-up/top-down' approach by guiding practice and understanding of the implementation of evidence-based practices for students with ASD for both top-level administrators as well as those providing direct instruction. This comprehensive approach increases the likelihood that all staff in the division will demonstrate fidelity of implementation of evidence-based practice. 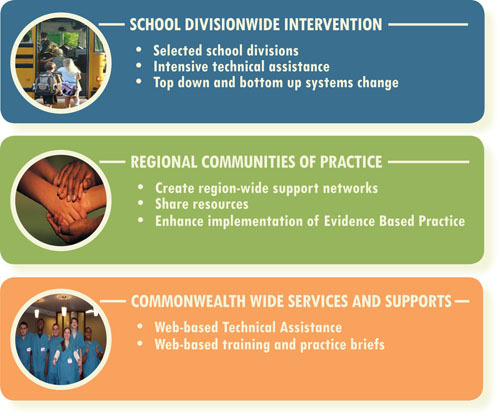 VCU-ACE has developed State-Wide Goals for the three year period 2011-2014 based upon our work with 12 school divisions across the Commonwealth. These goals can guide school divisions as they work to improve service delivery for students with autism spectrum disorder (ASD). They may also serve as a focus for problem solving and resource sharing within the regional Communities of Learning in Autism Spectrum Disorder (CoLAs). VCU-ACE has designed intervention to invoke systems change at three levels: school division-wide, regional, and across the entire Commonwealth.